BytePile.com has it's primary Data and Computing center located in a private suite at the INFOMART Dallas, one of the worlds most advanced networking centers. The INFOMART is optically connected to 12 independent communication carriers including AT&T, UUnet, Qwest, PSI, Sprint, Cable & Wireless, Verio, SBC and Cogent. 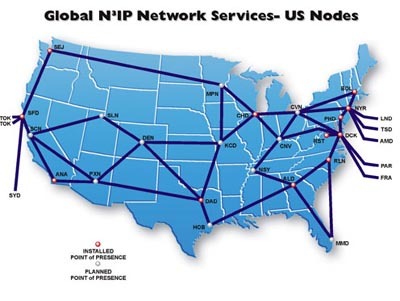 These independent carriers route Internet traffic using full BGP connections to a PNAP for complete Carrier Redundancy. 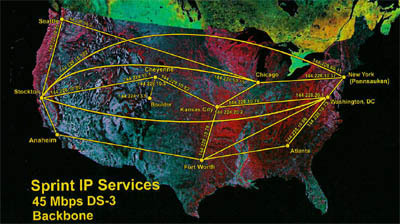 At BytePile.com our network connection has a multi-Homed 1 Gig Bit connection integrated to the buildings internal InterNAP network which consist of multiple OC-48 rings coupled directly to a PNAP Tier 1 OC-192 Fiber Optic backbone. 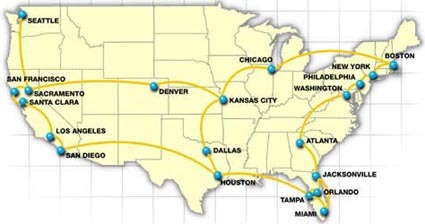 With of our full Carrier Redundancy, InterNap and multi-Homed PNAP connection, BytePile.com has continuous access to 12 different Fiber Optic Networks.